Remember the excitement of the first day of school? Putting on your new, carefully picked out outfit to see old friends and play at recess. That outfit gave us the confidence to enter a new year and make some new friends. Give your little ones a confidence boost with the newest, on trend fashions from the most sought after children’s lines. At Sweet Threads, we created our Fall 2015 Look Book to help you find exactly what you and your little are looking for. Start this school year off right with pieces from great brands like Ultraviolet Kids, Bobo Choses and Tiny Whales. From laid back styles to dresses and cardigans, we’ve got you covered this school year. Does your little one love running around the playground all day? 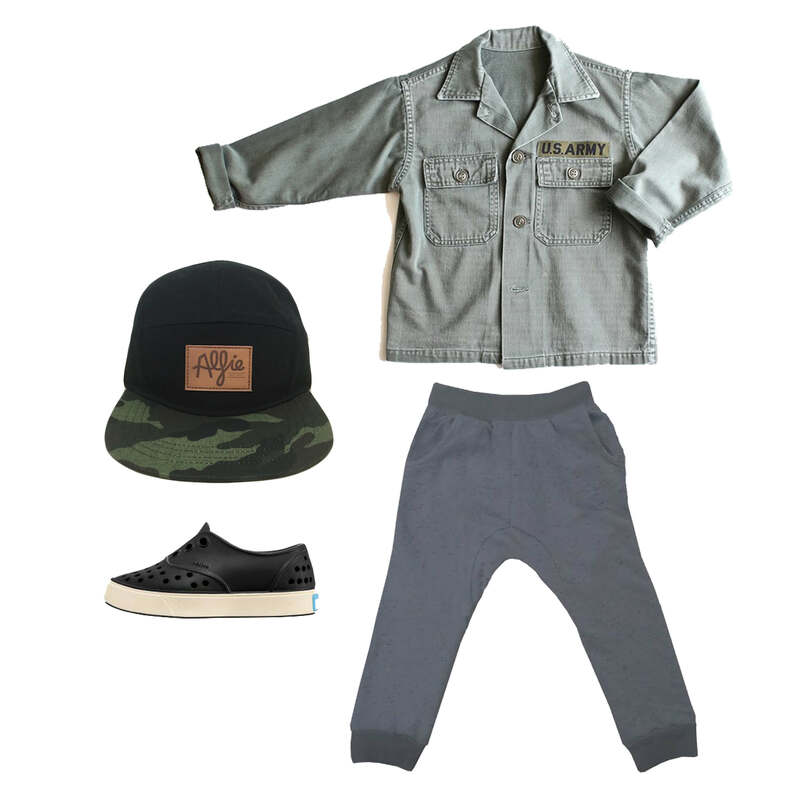 This laid back look is perfect for your kiddo. It features the playful Pom Beanie by Tiny Whales and the fun, bright Stay Cool Sweater by Gardner And The Gang. This look is perfect for the girl that loves to play in comfy clothes, but also values looking fashionable! Add a trendy flair to her outfit with the Black Shmock Dress by Ultraviolet Kids and top it off with the comfy and relaxed Woods Beanie by Bobo Choses. This polished outfit is perfect for first day of school impressions. From the Mustard Pom Sweater by Floatimini to the Silver Tulle Skirt by Floatimini, this ensemble is both put together and fun. For the might boy, these are the to-die-for, back to school selections. Imagine your little one looking so adorable in this Frankie Button Up Shirt by Lennon & Wolfe, Black Cardigan by Tiny Cottons and Tiny Stripes Logo Pant by Tiny Cottons. He will be cute and comfortable! What little girl doesn’t love pink? And wearing it on her first day back to school is a dream. Dress her up in this Baby Pink Pom Sweater by Floatimini, Black Tulle Skirt by Floatimini, Purple Dot Socks by Wovenplay and Black Cat MaryJanes by Mini Melissa. It’s an outfit she’ll love and you’ll approve of. Here’s another great outfit that looks presentable for your little’s first day, but is relaxed enough that he can play in the yard. Featuring Black N’ Camo 5 Panel Cap by Alfie Childhoods Clothing, Vintage Marsala School Cardigan, Symbols T-Shirt by Bobo Choses and City Beat Tri-Blend Black Speck Pant by Tiny Whales, this ensemble puts your boy on trend and ready for his first day! You can shop these adorable selections and find more irresistible children’s clothing on our website shopsweetthreads.com. And if you’re in the Long Beach area, we would love for you to stop by and shop our pieces in person. Make sure your little one has the perfect outfit for their first day of school this year with great selections from Sweet Threads.